Save 53% for a limited time! Hurry over to Amazon to snag this JoyJolt Afina 4-Piece Cocktail Glasses Set for only $11.83, regularly $24.95. This cocktail glass set is a modern take on a classic glass. 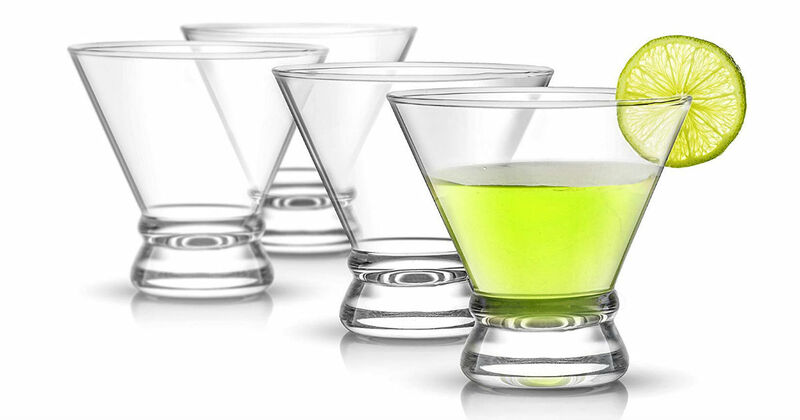 These 8-ounce Martini glasses are casual yet elegant with their cinched design. It has a heavy base elegant stemless construction that ensures stability.